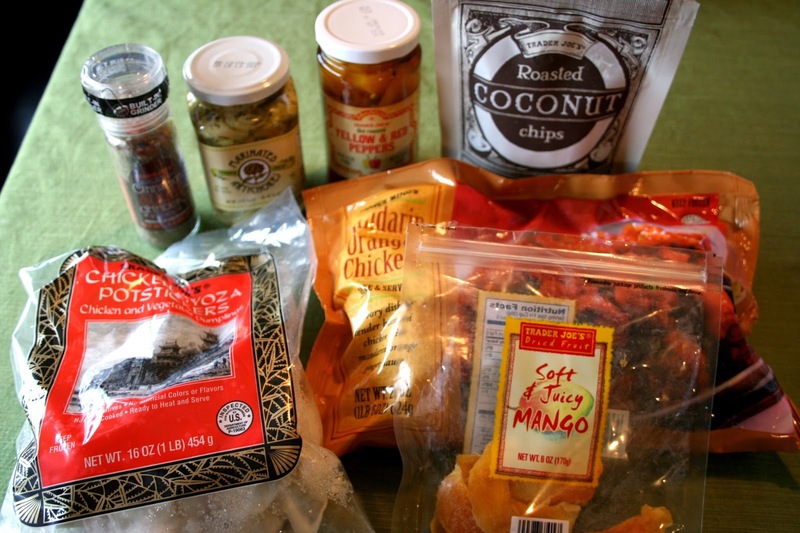 Man, it's been a long time since I've done a review on some Trader Joe's goods. Over a year to be exact. This picture is from months ago, but I definitely remember how good all of this food was because we've bought it again and again since then. This fun grinder is inexpensive and fun to use. Since you are grinding cinnamon it has a whole different flavor than the cinnamon spice you're used to using. I put this in my son's oatmeal, on toast, etc. Definitely worth the price! I am a huge artichoke lover and whether it be in pasta, on pizza, or in dips, it doesn't matter to me. I love these artichokes because they are a good price and super flavorful. A win/win. I usually only buy Trader Joe's Roasted Red Peppers and the only reason I bought these was because the clerk convinced me they didn't sell the only peppers anymore...It didn't matter though because these still tasted great in my favorite pasta. Oh man you guys! These are bad news. They are so addicting and melt in your mouth! They are buttery, crunchy, pure coconut milk goodness. We buy these almost every time we go to Trader Joe's. A definite must try! I have grown-up eating potstickers so I was excited to try these because they were a decent price. They're definitely good and make for a great side, but I wasn't totally blown away with the taste. I have definitely had better frozen potstickers. This chicken is really good! I saw rave reviews about it beforehand so I was excited to try it. The chicken pieces are dark meat so they're totally different than you're average frozen chicken nuggets. The sauce is delicious and when served over rice, this makes an easy, yummy dinner. Oh boy oh boy! These are my favorite and most purchased item at Trader Joe's. We always buy at least 3 bags when we go because we don't make it there very often. They have the best chewy texture, are perfectly sweet and just addicting! (As you can tell by the half eaten bag.) I usually hate dried fruit so this is saying something! You must, must try these!